Please join families from around Santa Cruz County as they come together to hear from Supervisor Neal Coonerty as he shares intimate stories during his years as a strong ally to the LGBT community, including his experiences with passing the first non-discrimination ordinance in the City of Santa Cruz which prohibited discrimination in hiring on the basis of sexual orientation & Gender Identity in 1992 as well as his experiences with building Bookshop Santa Cruz as one of the early book stores with an LGBT book section and LGBT Community bulletin board. Neal Coonerty was elected to the Santa Cruz County Board of Supervisors in June 2006 and re-elected to another four year term in June 2010. Before being elected to the Board of Supervisors, Neal Coonerty was the owner and operator of Bookshop Santa Cruz in downtown Santa Cruz, a business he successfully ran since 1973. 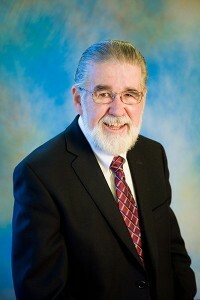 Supervisor Coonerty also served on the Santa Cruz City Council from 1990 to 1994, and was elected to serve as Mayor of Santa Cruz by his fellow council members in 1994. While on the City Council, Neal introduced the City’s first non-discrimination ordinance which prohibited discrimination in hiring on the basis of sexual orientation & Gender Identity. In 1992, the City of Santa Cruz became one of the early cities to include Gender Identity. Supervisor Coonerty graduated from the University of California, Berkeley, as an English literature major in 1969. He was born in Santa Maria, California, and grew up in Van Nuys, California. His wife, Lucie, is a retired elementary school teacher. His son, Ryan, a lecturer in legal studies at UCSC and Cabrillo College, was elected to the Santa Cruz City Council in 2004, and re-elected in 2008, and twice served as mayor of Santa Cruz in 2008 and 2011. His daughter, Casey Coonerty Protti, currently operates the family business, Bookshop Santa Cruz. In addition to Supervisor Coonerty’s long-standing support of GLBT issues through the Bookshop and his tenure on the city council, he has continued his advocacy while serving on the Board of Supervisors by supporting critical legislation at the state and federal level and ensuring that county policies protect the rights of everyone in our community. A special evening with Supervisor Neal Coonerty is not to be missed!